The Gospels’ account of the Resurrection never gets old. Joy renewed after what seemed like an agonizing, crushing defeat. It has the power to instantly break through my worst day, and remind me of the hope I have for both this life and the life beyond the grave. It is absolutely my favorite part of the entire Bible, a story of victory and redemption almost too good to be true. But honestly, sometimes I fail to accurately translate this message to my children during the Easter season. There are store displays of cute stuffed bunnies, colorful plastic eggs, and the assortment of sugary candies that all threaten to eclipse the true meaning of Easter. 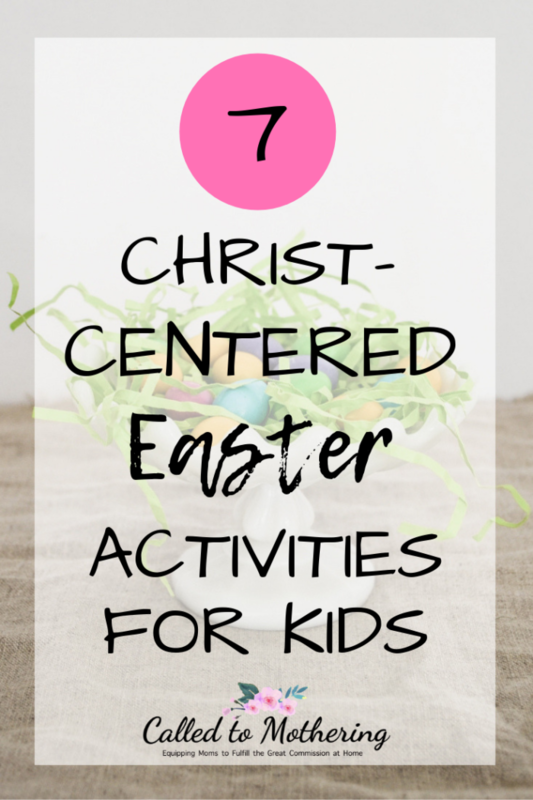 So, I’m grabbing this opportunity to be as intentional as I can about bringing the Easter Story to life for my six and nine-year-old. With a little creativity we can help our children grasp the hope behind our faith, and have fun too! Many of the familiar things we associate with this holiday are not, in fact, secular – they actually point us back to the Resurrection. Grab a book like The Legend of the Easter Egg or What Is Easter? and discover the origins of bunnies, chicks, and eggs. When our children learn how these elements represent the risen Savior and the new life we have in Him, they will no longer overshadow the real meaning of Easter but compliment it instead. I don’t know about you, but I’m hesitant to watch most films portraying the events of Holy Week with my children. We stopped short of the crucifixion scene in Son of God, because my kids weren’t mature enough to process it. It’s one thing to read about it in the Bible; it’s quite another to see it graphically reenacted. But since the cross is central to our Christian faith, we don’t want to shy away from or skip over it. The Miracle Maker does a great job of telling (and showing) what happened during Jesus’ last days to kids. It sticks closely to the Gospel of Luke and makes the story “come alive”, without such a graphic portrayal of the details. The toy version, that is. Anything my kids can play and interact with makes a lesson “stick” better. The Easter Story Egg comes with seven wooden nesting eggs that are great for hands on learning. Each one corresponds to a different story every day from Palm Sunday to Resurrection Sunday, so your kids can also count down to Easter! My kids love hunting all over the house for eggs on Easter morning. But this is an egg hunt with a twist. There is one egg hidden that contains a special surprise- and it’s not candy. As one of my children opens an egg with the words “He Lives” and takes out the figurine of Jesus, I explain that it’s just like Jesus coming out of the tomb that first Easter. Once all the eggs have been found, we read the Resurrection account in Luke 24 together. Sometimes, the best way to teach your children biblical truth is to have them construct a craft. But if you’re like me, the thought of paint and glitter makes you break out into hives. Try this simple and nearly mess-free craft from Free-n-Fun Easter or this one from Cranial Hiccups. Both are effective for creating something that kids will love to use themselves to tell about Christ’s resurrection. Who doesn’t love a lesson that you can digest both intellectually and physically? Get your kids together in the kitchen to help bake a tasty treat that will illustrate the Resurrection. These Resurrection Rolls are simple to make, but contain a powerful message. You only need 5 ingredients: crescent rolls, marshmallows, sugar, cinnamon, and butter. Give each child one triangle shaped section of a crescent roll, which represents the tomb. Then give them each a marshmallow- this represents the body of Christ. Next, dip the marshmallow in the butter and roll in the cinnamon and sugar mixture to represent the oils and spices the body was anointed with for burial. Lay the marshmallow on the dough and carefully wrap it around the marshmallow. When the rolls are done baking, they are empty inside… just like Jesus’ tomb! Resurrection Eggs are sort of like Easter’s version of Advent. And they’re a perfect way to walk your kids through the events of Holy Week. These 12 plastic eggs contain symbols of Jesus’ journey to the cross such as a donkey, thorns, coins, and nails, which go along with a reading and Bible verse. Simply read the story with the scripture, and then open the corresponding egg to reveal the surprise inside! It’s a fantastic tool to break down the Easter story into smaller parts, and share the Gospel with your children. 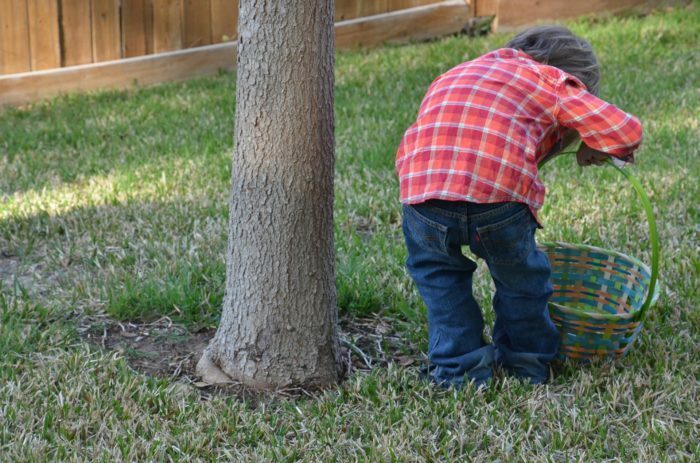 Easter may be adorned with bunnies, eggs, and pretty dresses, but these object lessons will help your kids grasp the real meaning of the season. Without the death, burial, and resurrection of Christ, there is no basis for our faith! Thank you for the book recommendations! I love the idea of intermingling Easter fun with the true story of Jesus. Wanted to invite you to participate in a spring link up that I am co-hosting! I hope you can join us and link this post! It begins today and lasts until April 19th! Thanks for sharing at the Welcome Spring party! Pinned. Hi! Just wanted to let you know I selected this post as a feature post for the Welcome Spring Link Party. Thanks for linking your fabulous spring post. My features post will go live on 4/23 at 6 a.m. CST!